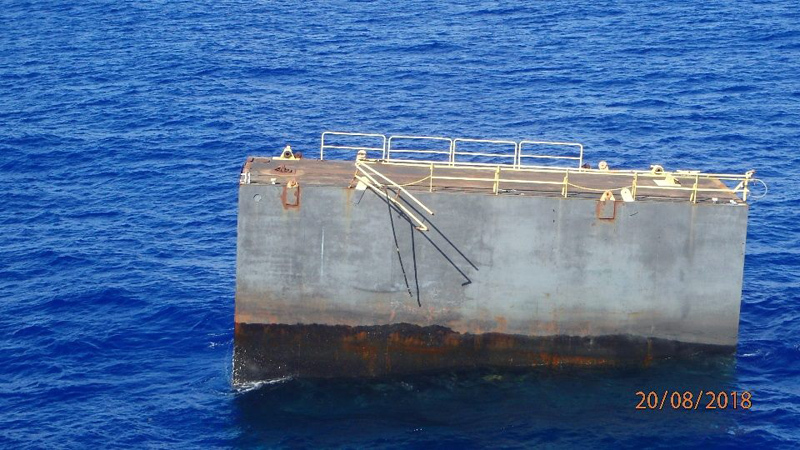 A ‘floating platform’ has been re-sighted adrift, now some 250 miles south of Bermuda. 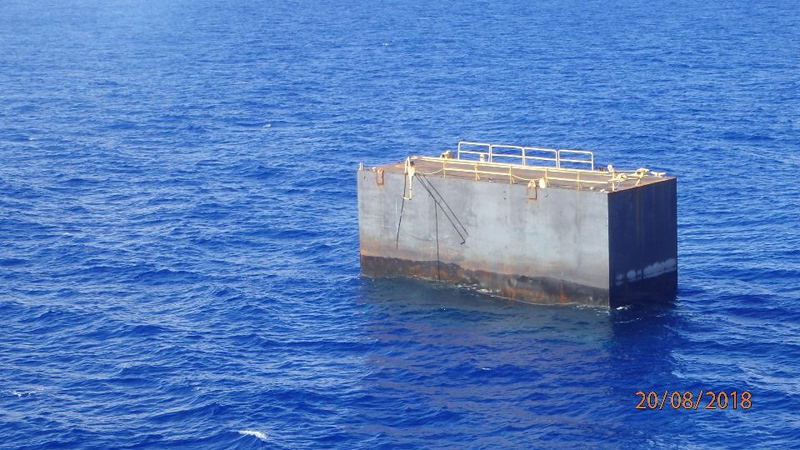 The Bermuda Maritime Operations Centre posted the photos below online with a caption that said, “Floating platform [12x4x5m] re-sighted adrift this morning in position 28 10.0 N 065 36.3 W [250 miles south of Bermuda]. Someone should instal a solar powered LED light on it so it is less of a hazard at night. It’s ok people it’s the former oba/UBP ship after the election. I hear they are looking for quality candidates….. but as you see for yourself why the PEOPLE aren’t joining. actually that just plp propaganda,it’s the plp/biu that’s adrift in the world devoid of human life! Well if they cann’t get quality candidates and we KNOW plp don’t have any quality candidates then the whole island is adrift. Perhaps it’s one of those crypto currency exchange platforms. Loaded with gold ballast. Maybe it’s where they’ll set up those chicken farms. Sage that is a good idea however why not just sink it? I would be really interested from where it came from. St. Martin – hurricane last year? They lost everything! wow very dangerous because that would not show up on radar if you are using autopilot. this is why someone has to be at the helm at all times. 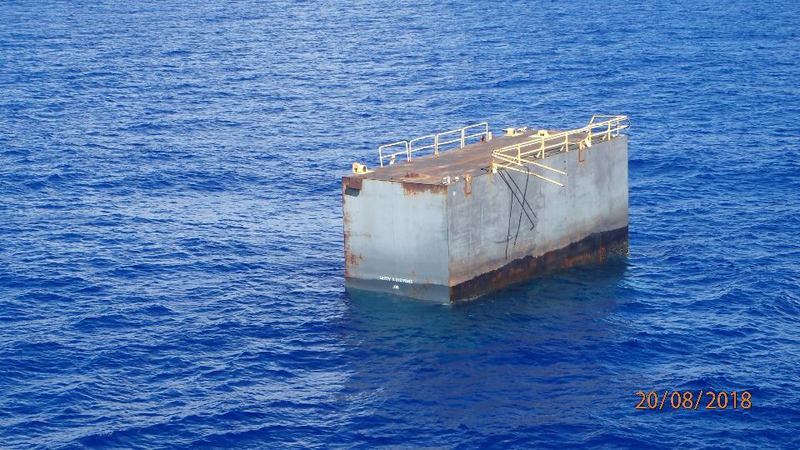 Will see this on Bermuda boat trader by next week. You’re right there. That’s why it’s so “high” in the water. What she be is de good ship lollipop yo!! Why not install a GPS type tracker on it like they have for tracking ‘Lydia’ the great white shark. That way if it keeps coming closer to the island, we can have it removed from our waters and help prevent a maritime disaster. A passing warship should deal with it. A few shots in the right places with a 50cal will take care of it. Is someone going to be responsible for moving this quite significant hazard? It’s 250 miles south of Bermuda Kim. You folks need to grab a dark and stormy…..
And the Peanut Gallery beats on ! We should use d boat d Dr.Brown n Crew made us pay for find n tow it back here lol . Either d tug ‘Stowe’ or d Highly $$$$$$ police no rescue boat !